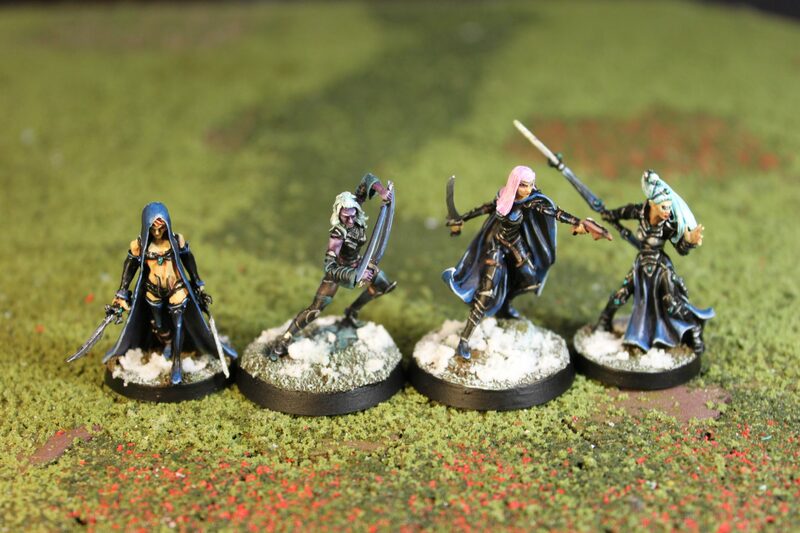 For my Dark Elves, I ended up with 3 miniatures from three amazing miniature producers: DarkSword Miniatures, Hasslefree Miniatures and Avatars of War. Similar to the High Elves, I wanted the Dark Elves to have some resemblance in outfit with our Dark Elf hero. Although I am happy with the result, I don’t feel these are as good as the High Elves. Their makeup is really not that great and I was in my own mind when I painted them and totally forgot that Dark Elves are… darkish, purple-ish skinned! The Hero (Anti-hero?!) 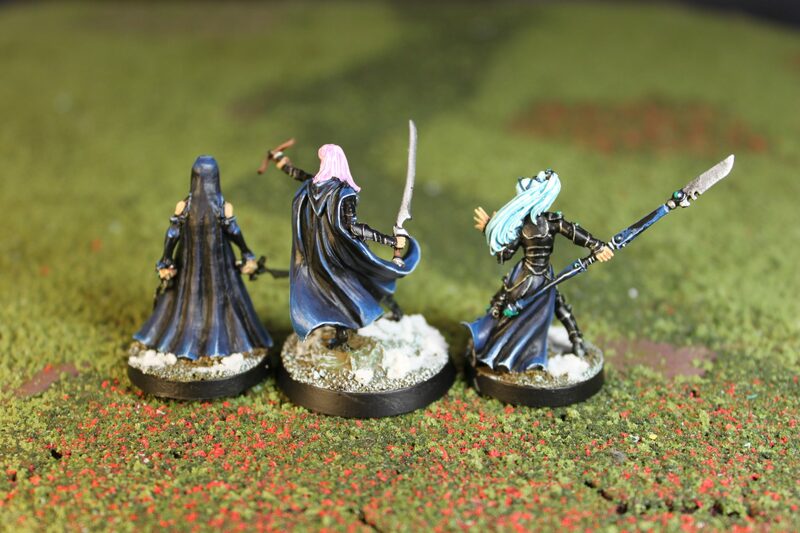 Alfein, the Drow Rogue leading the Dark Elves to battle.